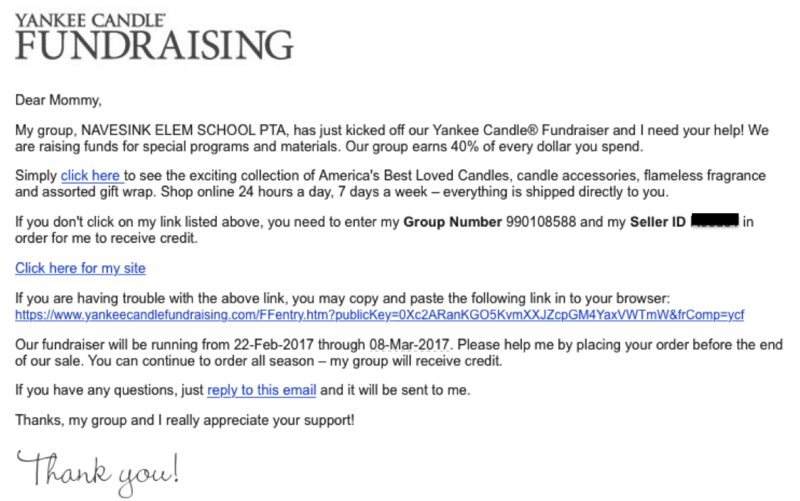 The kids brought home a packet about a great Yankee Candle Fundraiser in their backbacks. - Navesink School will receive 40% of any sale so every order will make a difference. ​- So many great items! - Orders due by Friday, 10/12 so the items can get to you in time for Thanksgiving and plenty of time for Christmas. Easy Online Selling: Create an online login so you can easily e-mail friends and family as well as share your child’s link on Facebook. Then follow the simple steps to create your child’s seller login. You can also use the order form provided in the packets. 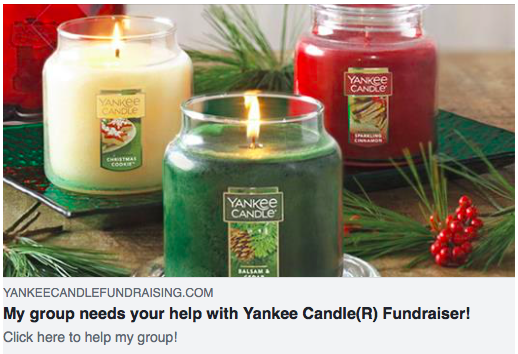 Checks made out to Navesink PTA ---NOT Yankee Candle! Students/parents keep the pink copy for their records, all other copies get sent back to school. The more they sell, the more they earn...great incentive prizes earned through Yankee Candle. Reach out to Amanda Kelly at aschroeck86@comcast.net or e-mail navesinkpta@gmail.com with any questions. Example of Facebook post linking to your selling page. Write your own text on the post.